As one of the most basic items of clothing at our disposal, the T-shirt rarely generates attention. But what does it really take to make the humble garment? Central Leeds shoppers got a gander over the weekend when Trinity Leeds played host to the “Pop-Up T-shirt Factory,” an ad-hoc assembly line that demystified some of the clothes-manufacturing process. Organized by Transfer, a joint initiative between the London College of Fashion’s Centre for Sustainable Fashion and the University of Sheffield, and funded by the Economic and Social Research Council, the event invited members of the public to describe their consumption habits, which a team of specialists then translated into a custom T-shirt. Adapting the T-shirt for use as a conversation piece also made the most sense, since it “transcends gender, everyone can relate to it, and it’s produced in the millions the world over,” according to London College of Fashion’s Helen Storey, one of the prime movers behind the “Catalytic Clothing” range of air-purifying textiles. Despite its relative simplicity, every T-shirt requires time, skill, and resources to make. It doesn’t just materialize out of whole cloth, ready to be bagged and tagged. “We need to find ways to reconnect people to the human story behind making, as a way for people to re-consider the value and true cost of what they wear and to treasure it for longer,” Storey says. 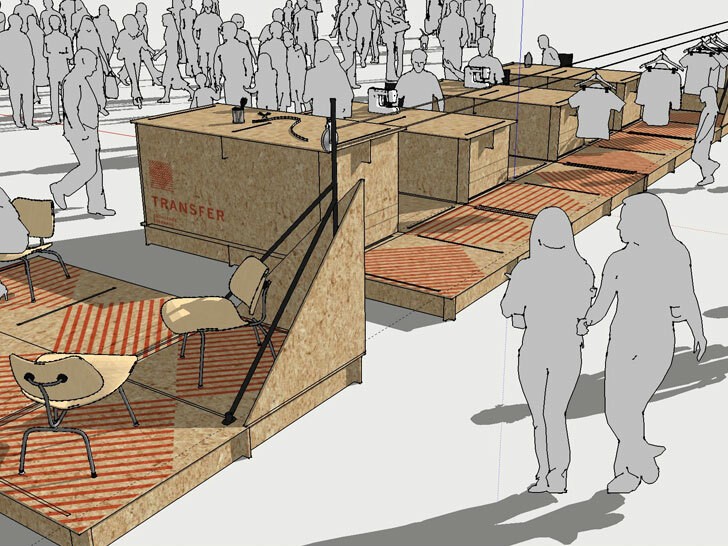 Storey hopes the pop-up’s participants left with a renewed sense of awareness about their purchasing decisions. “They [left] with a piece of clothing that has unique embedded meaning within it: a physical manifestation of their personal response to considering their own level of care and knowledge about how and who makes their clothes,” she adds. As one of the most basic items of clothing at our disposal, the T-shirt rarely generates attention. But what does it really take to make the humble garment? Central Leeds shoppers got a gander over the weekend when Trinity Leeds played host to the "Pop-Up T-shirt Factory," an ad-hoc assembly line that demystified some of the clothes-manufacturing process. 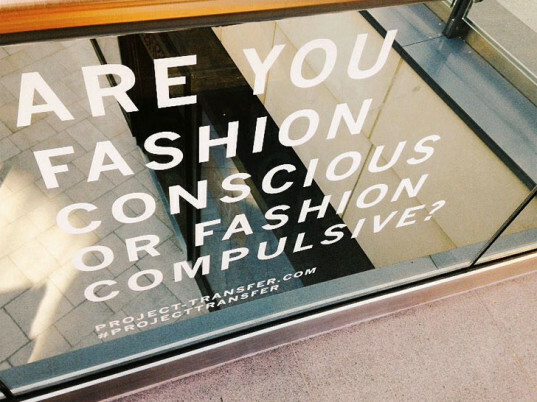 Organized by Transfer, a joint initiative between the London College of Fashion's Centre for Sustainable Fashion and the University of Sheffield, and funded by the Economic and Social Research Council, the event invited members of the public to describe their consumption habits, which a team of specialists then translated into a custom T-shirt.